Hodder & Stoughton. Used - Like New. 2011. Paperback. Fine. Hodder & Stoughton. PAPERBACK. 1444720708 Meets or exceeds the good condition guidelines. Nice copy. Has some crinkling and staining. Five star seller - Buy with confidence! . Good. Hodder & Stoughton. PAPERBACK. 1444720708 Very Good Condition. Has some wear. Five star seller - Buy with confidence! . Very Good. Hodder & Stoughton, 2011-10-01. Paperback. Good. Paperback. New. 'This is the story of a lover's triangle...It was bad from the start. And it got worse in a hurry'. 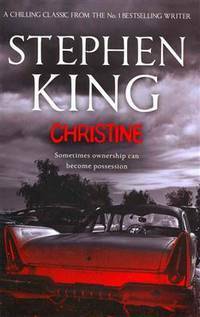 King's bestselling supernatural tale is about a boy, his girlfriend and a '58 Plymouth Fury called Christine. HODDER & STOUGHTON. 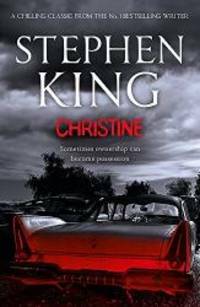 Softcover. Brand New. Language : English Orders usually ship within 1-2 business days. We use FAST SHIPPING via FEDEX/UPS/DHL and deliver within 3-5 business days with tracking number, no shipping to PO BOX, APO, FPO addresses. Kindly provide phone number for expedite delivery. 100% Customer satisfaction guaranteed! Hodder & Stoughton. PAPERBACK. 1444720708 Brand New ,Original Book , Direct from Source , Express 5-8 Business days worldwide Delivery. . New.